There’s a new category in my site: the competitors analysis. I’ll try to look at specific marketing or products cases to understand the dynamic of FCA’s main competitors. This time the analysis will focus on two brands and some of its products, their positioning and the possible cannibalization there might be. I took the cases of the BMW 3-Series sedan, the 3-Series GT and the 4-Series Gran Coupe, and the Skoda Fabia and Rapid Spaceback. In both cases, the brands sell them all as different nameplates based on certain unique features, but at the end they’re pretty much the same cars. Of course they are supposed to have different targets based on their design and functionality, but I personally have my doubts about how successful they are on enlarging sales and not confusing the final consumer. BMW offers more variants of its D-Sedan than Audi and Mercedes. The regular sedan makes part of the 3-Series family, along with the GT and the Touring (SW). Then comes the sporty line of the family, called the 4-Series, with the Coupe and the GranCoupe (5-door). No big differences between them. First, it was the popular BMW 3-Series sedan. This nameplate is manufactured since 1975 and during the last years it has become the referent in the European D-Segment. Through out these decades the best-selling BMW has been offered in 2 body-variants: 4-door sedan and SW. But it was until the arrival of the current generation when the German carmaker decided to add one more body-configuration: the GT. This weird BMW mixes the dynamic design of the sedan with the functionality of the SW to propose a kind of family car in a hatchback body. Despite the aesthetics considerations, the true is that BMW launched the 3-Series GT some years after the arrival of the 5-Series GT, which is replicates this case but in the E-Segment. Unfortunately is not easy to determine whether the 3 GT is a success or not, because its sales figures are mostly included in the whole 3-Series family. However it is evident that the brand decided to launch this version based on the demand of the 5-Series GT and the possibility of becoming the first of the 3 German premiums to offer this variant. But things got more confusing when BMW added the 4-door 4-Series GranCoupe, which is the sporty version of the regular 3-Series sedan. This means that BMW offers 3 different versions of the same car with very tiny differences among them: the regular (but also sporty and comfortable) 3-Series sedan; the weird (but also comfortable) 3-Series GT; and the sporty 4-Series GranCoupe. Despite their similarities, BMW manages to position them in different ways and find their own clients. It is not clear whether the strategy of adding more variants of the same model works or not, as official sales data isn’t split by version. 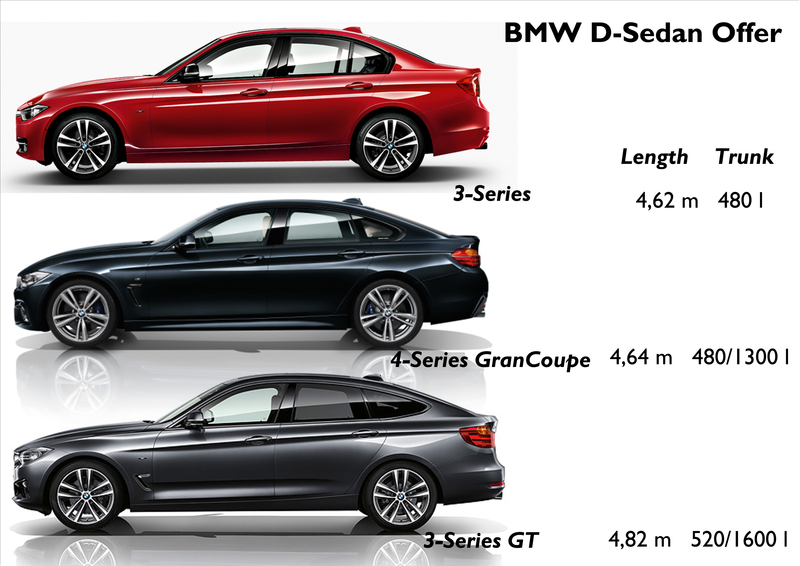 The 3-Sedan, SW and GT are all included as one family, while the 4-Series GranCoupe and the Coupe version sales are together. However, in 2014 the combined sales in Europe for both series (3 and 4) rose 7% to 222.000 units, or 18% of the brand’s total sales. When making a split, the growth was possible thanks only to the 4-Series, which had its first full year in the market and allowed to offset the decline on sales of the 3-Series, down 16%. Part of the 3-Series sales drop is explained by the arrival of the new Mercedes C-Class, up 16%, taking away sales from its rivals from BMW and Audi. 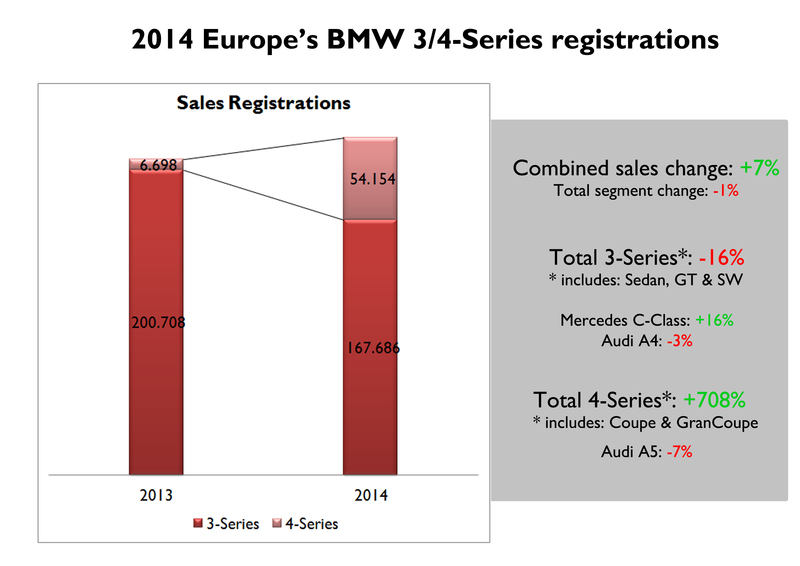 The evidence suggests that in some markets (such as France) there may be a cannibalization between the mid-size sedans of BMW, but at the end total results show that enlarging the range can result in enlarging sales registrations. 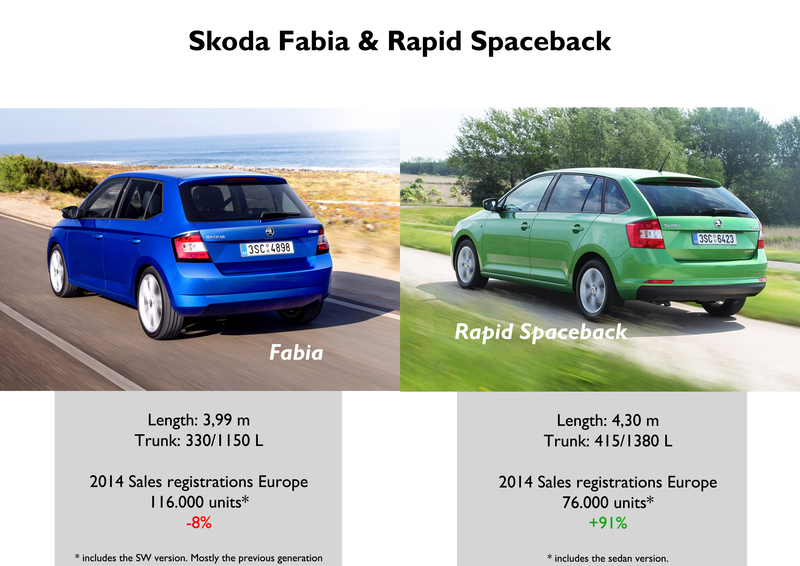 Any difference between the Fabia and the Rapid Spaceback? Skoda has a rich B-Segment offer: the Fabia 5-door, Fabia SW, Rapid sedan and Rapid 5-door. 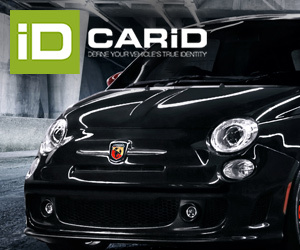 The Rapid family was born to respond to an increasing demand for small sedans in emerging markets and Eastern Europe. The brand added the 5-door named Spaceback as the hatchback version of the 4-door sedan while months later it presented the new Fabia with the same body-style. The Rapid Spaceback is positioned a step ahead or in the upper B-Segment as it is larger, more comfortable and more expensive; the Fabia is the classic sub-compact European car, direct rival of the VW Polo, Peugeot 208 and some others. Is there market for both? the figures show that there is room for the 2 nameplates as European combined sales advanced 15% in 2014 with the Rapid (sedan included) posting a positive growth of 91%, enough to offset the fall (-8%) on the Fabia’s demand (last year the new generation wasn’t available yet). With the arrival of the new Fabia, total sales demand should improve this year and this could be another successful case of cannibalization. FCA could be in a good position as manufacturers try to exploit more and more niche products. Add to this the SUV – X3 & X4 and sports car Z4, could be Lancia/Chrysler and Alfa SUV and Alfa 6C respectively. 3GT has a longer wheelbase than a regular 3/4 Series BMW.